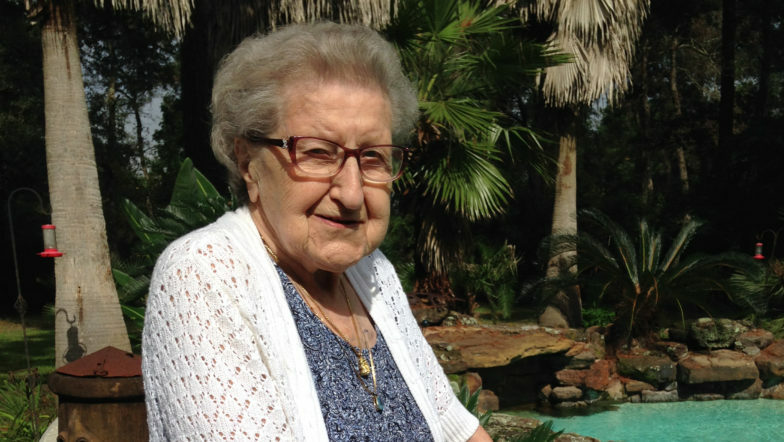 At 93, Lina Duerr shows little sign of slowing down. She crochets and knits, reads two to three books per week, cooks her family’s old German recipes, and still maintains a great sense of humor. But in January 2018, Lina began having trouble breathing. In April, she went to the emergency room near her home, where she learned that fluid was entering her lungs and her heart was experiencing a backwash of blood. 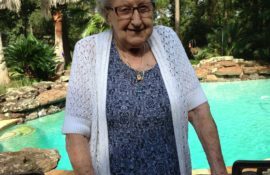 Her aortic valve wasn’t functioning properly, and the doctor recommended she get a transcatheter aortic valve replacement (TAVR). She was referred to Dr. Neil Strickman, an interventional cardiologist at Baylor St. Luke’s Medical Center, and was evaluated to see if she would be a good candidate for TAVR. Dr. Strickman wanted to ensure the procedure and anesthesia would be safe at Lina’s age. Lina and her daughter, Barbara Williams, weighed the pros and cons of the procedure. This minimally invasive valve procedure is being used more frequently with older patients. They said Dr. Strickman was very thorough in explaining the procedure and even took out a sample of a TAVR valve for Lina to see and feel. Lina was also on board. In June 2018, Lina had the procedure performed, and she was discharged after a day and a half. The surgery was very successful. From the excellent care of the staff to Dr. Strickman’s expertise, Barbara and Lina said they were extremely grateful for Baylor St. Luke’s.